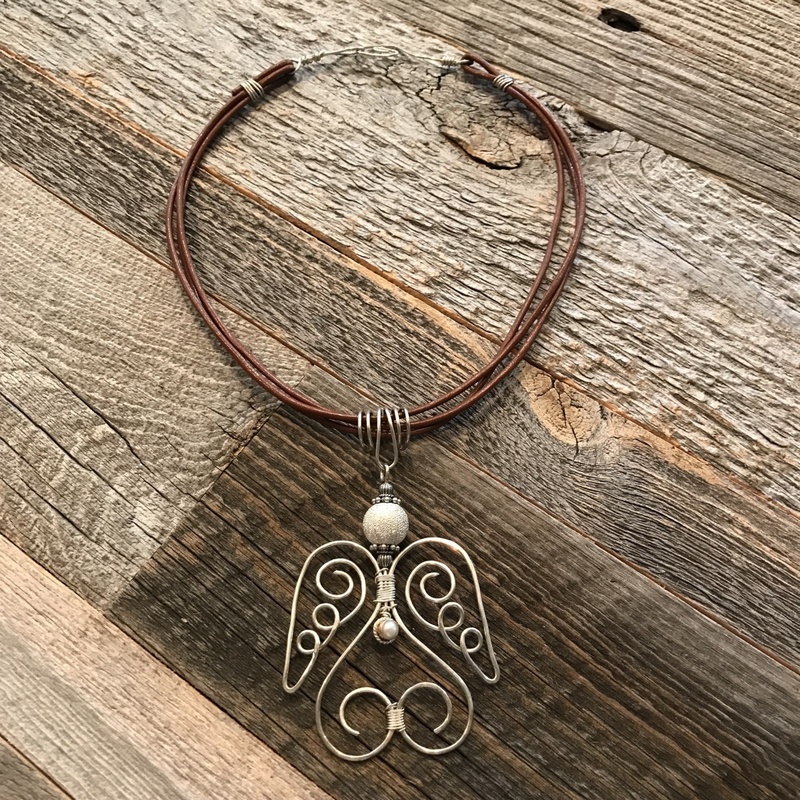 Show your Holiday Spirit with this graceful angel pendant. 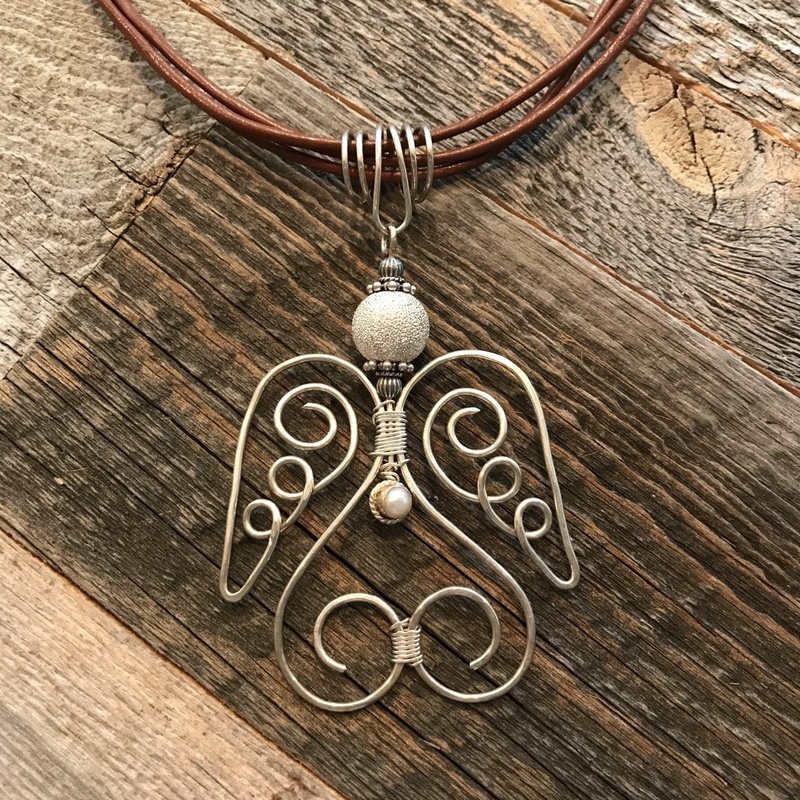 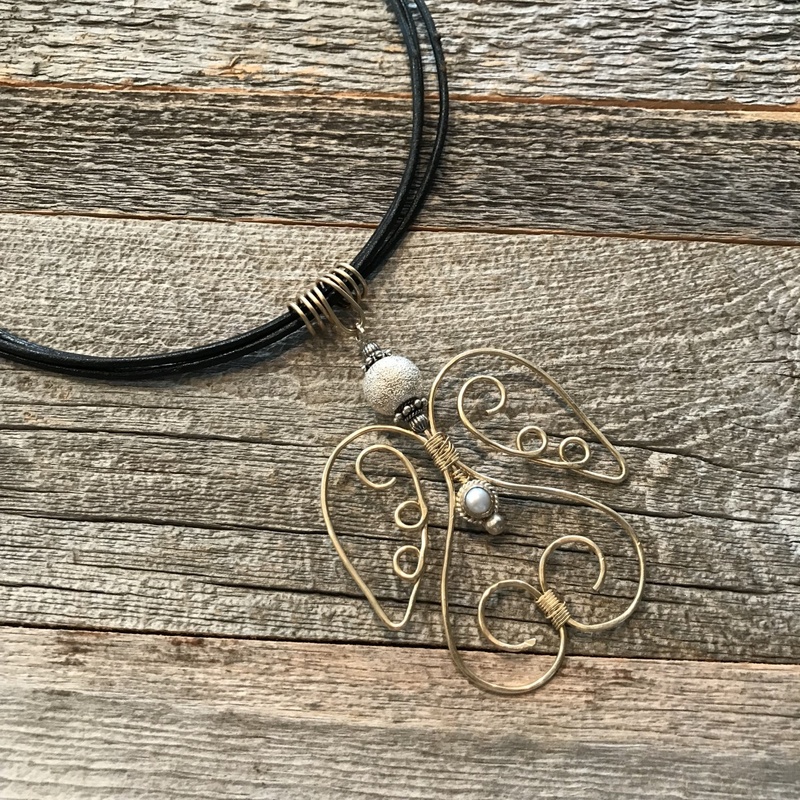 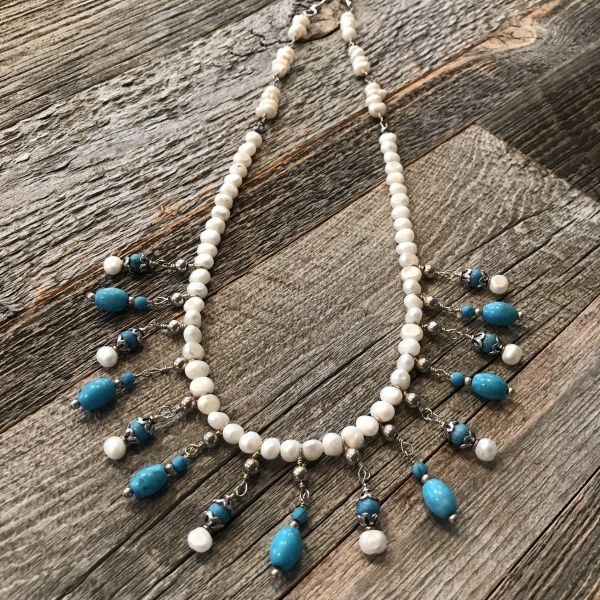 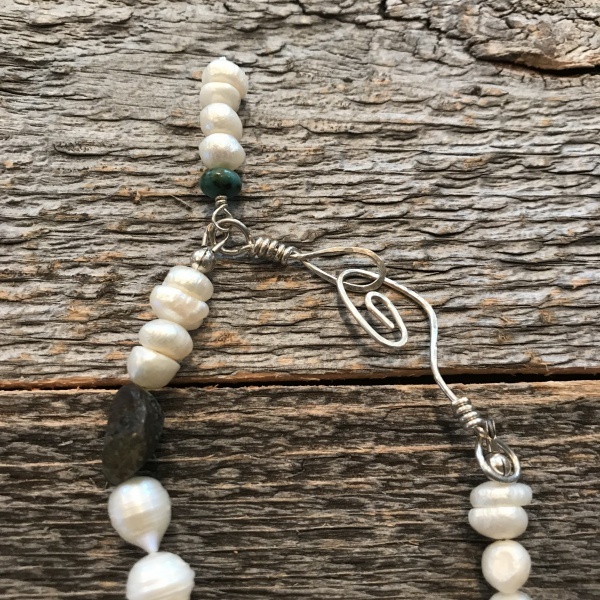 Hand formed by using either Sterling Silver or 12 carat Gold filled wire which is lightly hammered, each angels features a grouping of silver beads to form the head and a pearl accent on the body. 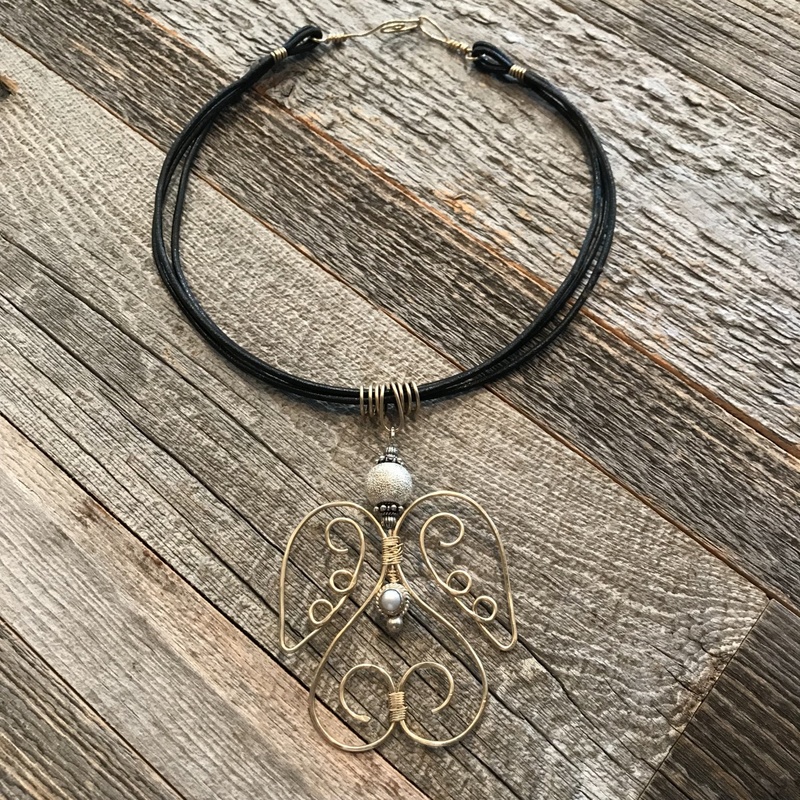 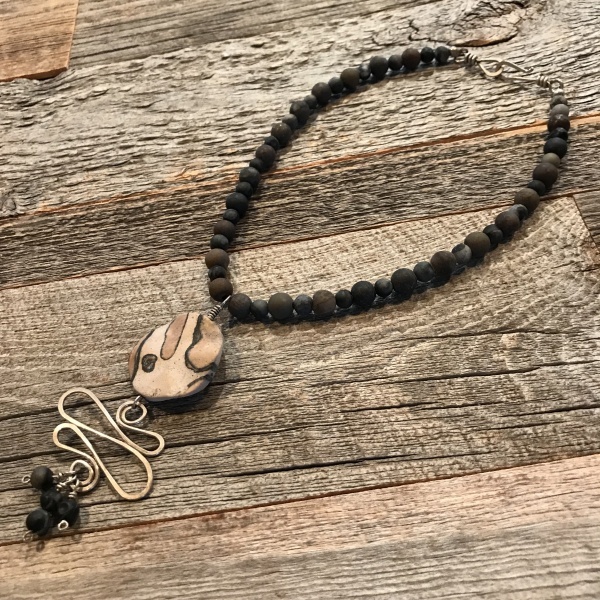 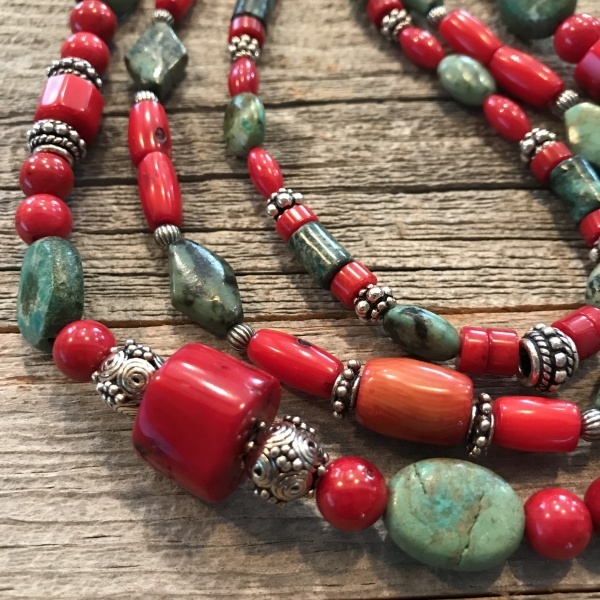 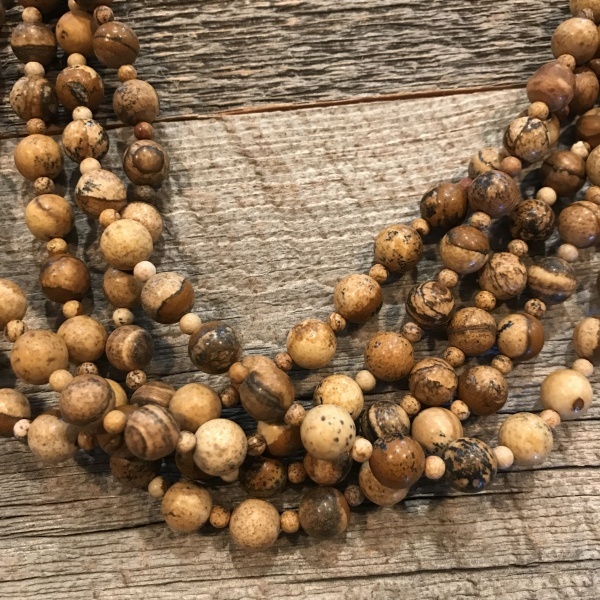 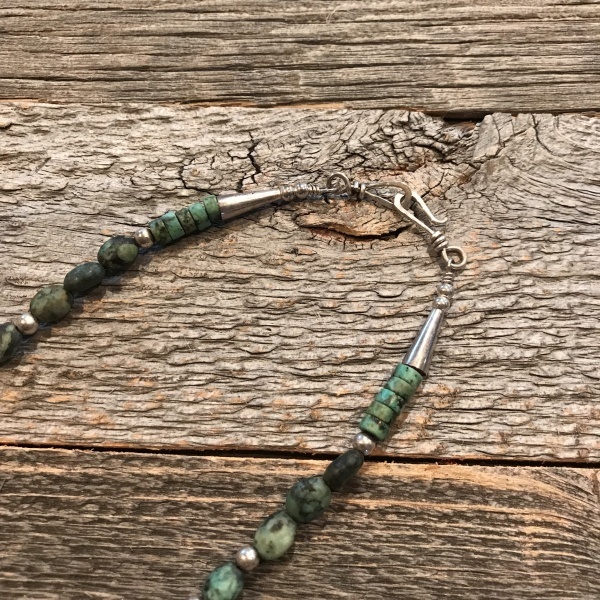 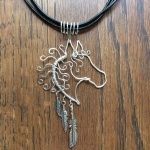 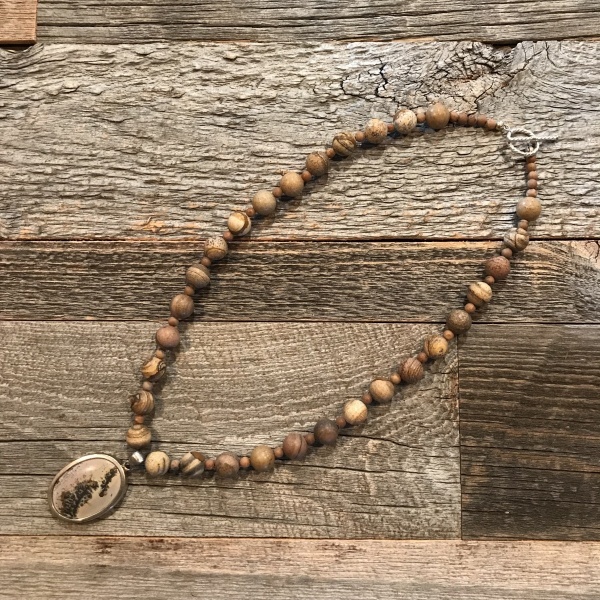 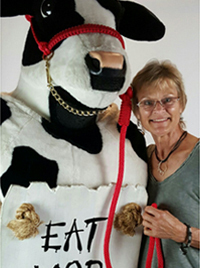 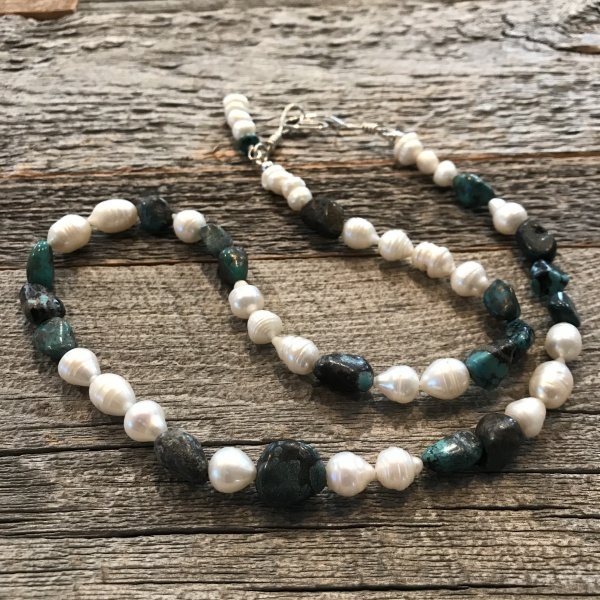 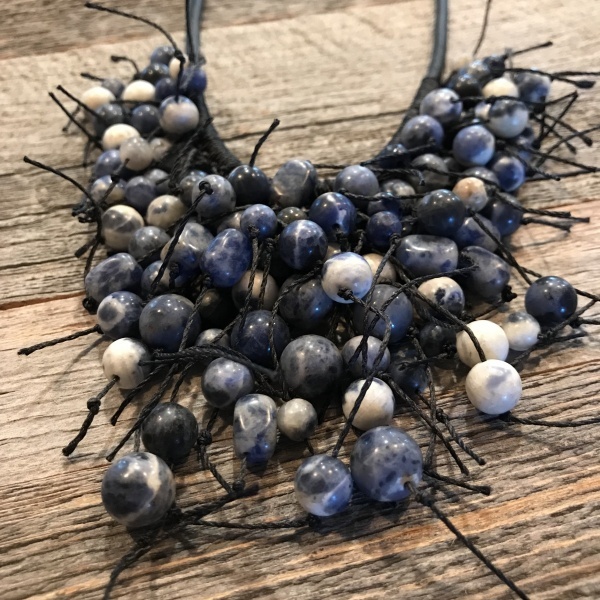 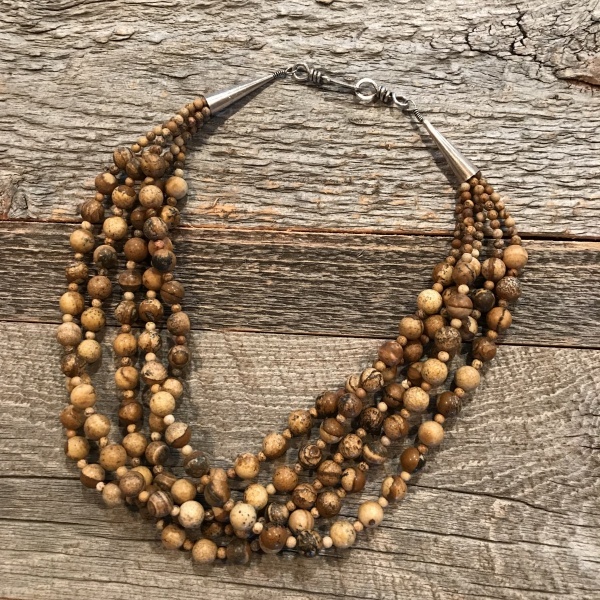 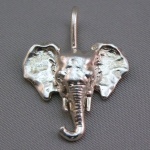 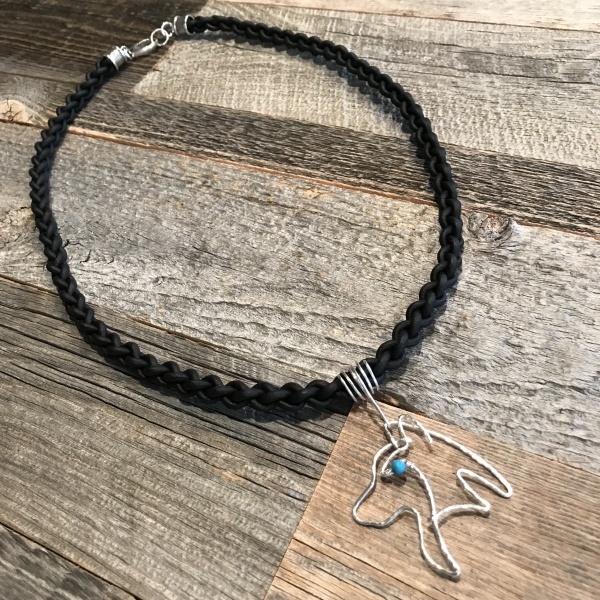 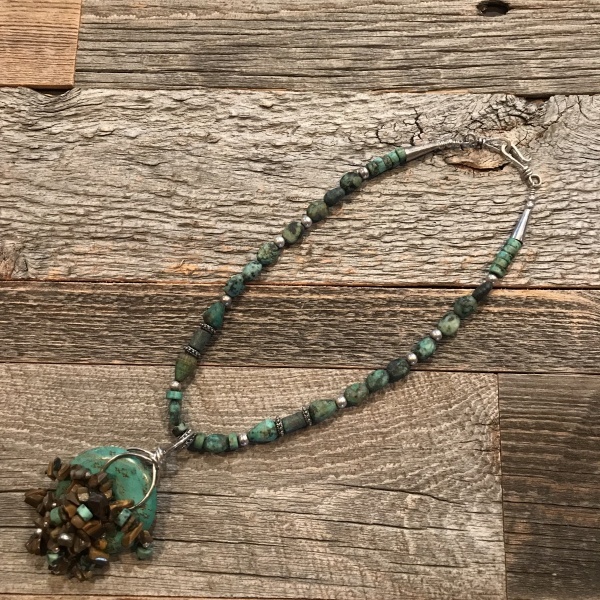 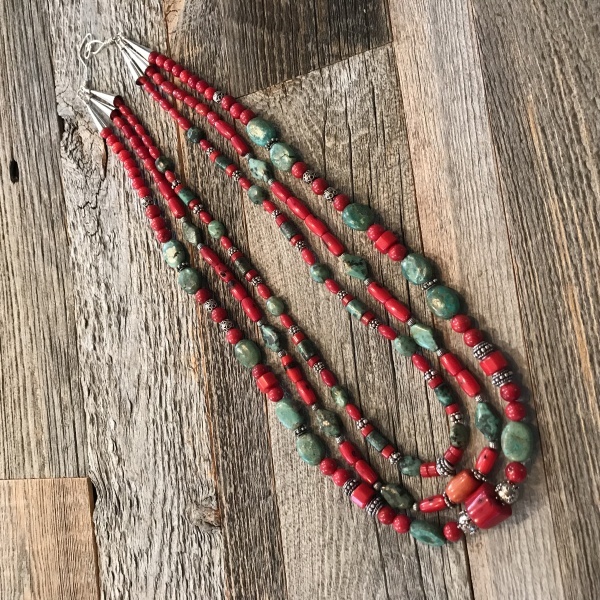 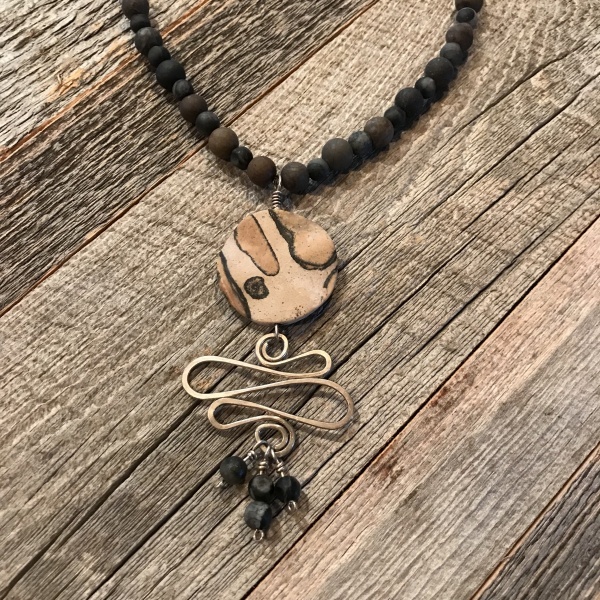 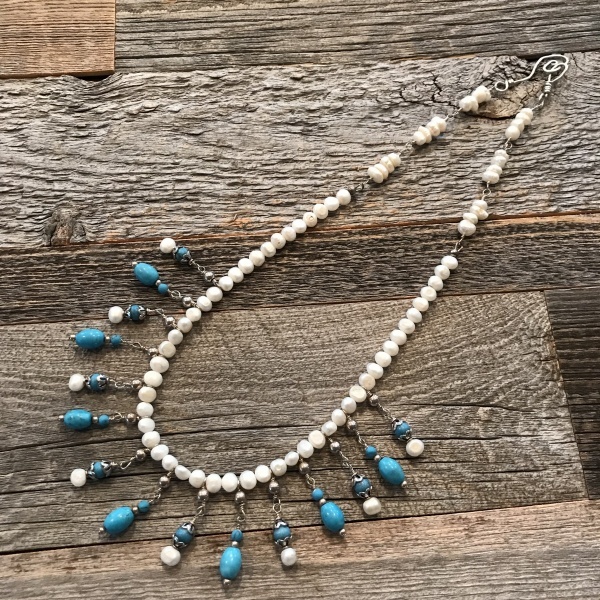 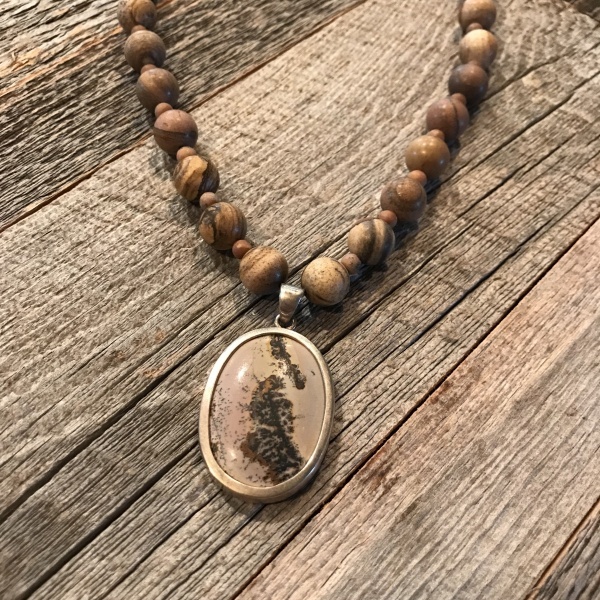 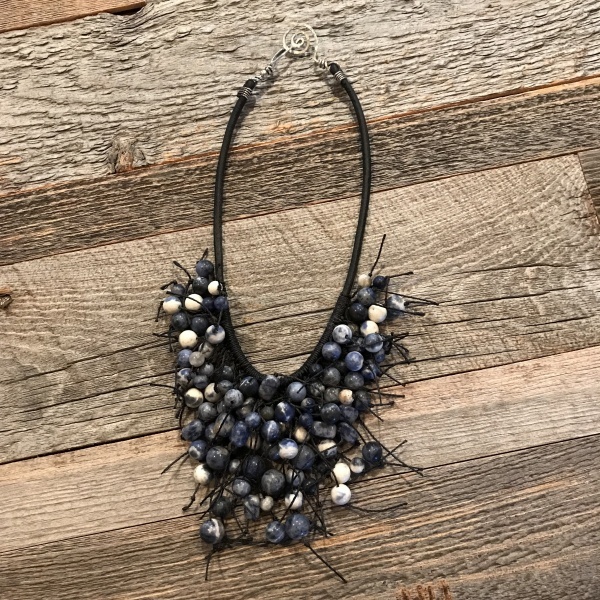 The pendant measures approximately 2-1/4″ wide by 2-3/4″ long and suspends from a 3 strand leather cord choker which fastens with a coordinating hook and eye clasp. 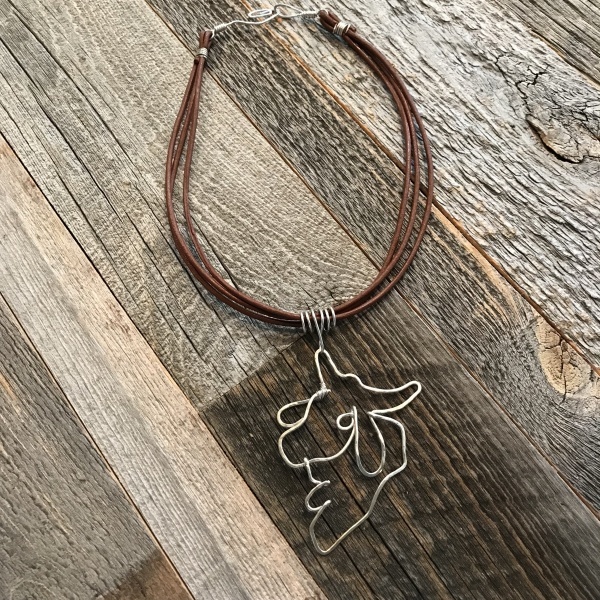 It also makes a perfect gift for that special someone on your list!